Each Wednesday, enthusiasts celebrate their love for the wheels that are the foundation of the car builds that enrapture us all. Whether it's the cult wheels that have lasted through decades of change or it's the latest new design from the contemporary companies, these forged pieces of aluminum play one of the most important roles in a car's function and style. 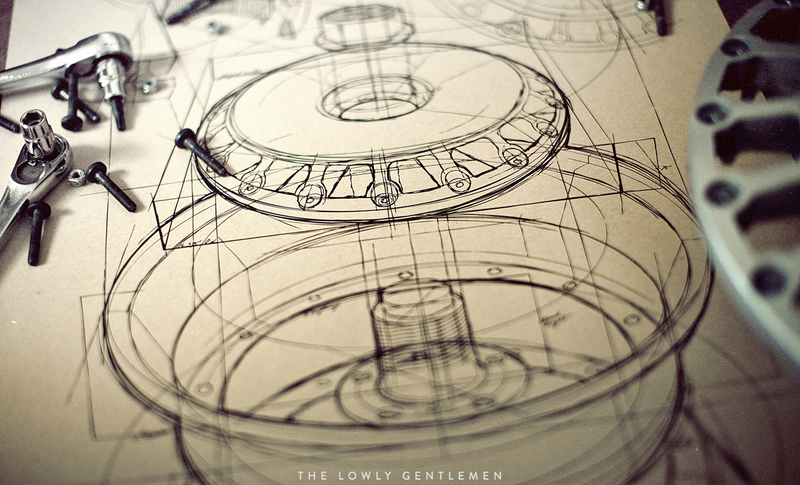 We want to take this Wednesday to announce our most recent Art Print to be added to the Lowly Gentlemen collective. 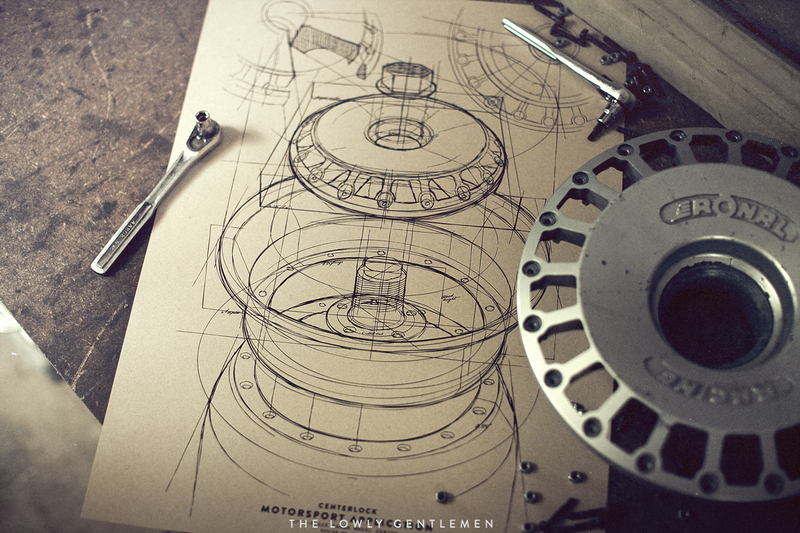 Ronal Racing wheels and Turbos have earned a place amongst the other icons of wheel history, so we've paid tribute to the deserving design with a hand-printed 18x24 Art Print. Originally designed to evacuate heat from the brakes of race cars, the turbo-style wheel design's intrigue comes directly from its function. Function and Form are often thought to exist independently, but when they work in unison, it's a thing of beauty. The art print focuses on the design aspects and details that bridge the form-function dichotomy with an exploded blueprint sketch printed on a naturally textured Kraft Paper. Limited to just 200 prints, the Centerlock Motorsport Application Art Print offers a subtle and stylish way to introduce your automotive passion to the interior decor of your home.